Not too long ago, I received a Garmin Vivofit fitness tracker as a gift. 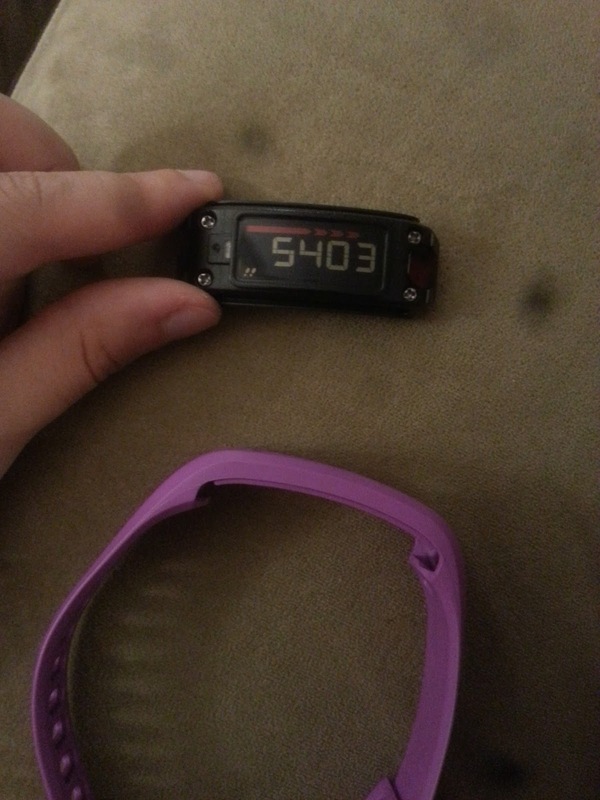 I am really enjoying wearing it every day to keep track of my steps, sleep habits, etc. I am already very active, but it's very interesting tracking everything! I chose this fitness tracker because the battery is supposed to last a year before it needs replacing, which is totally awesome! I love it so much that I wrote a review about it, you can check it out HERE! I love the outdoors, and you know, I spend a lot of time gardening and making projects. 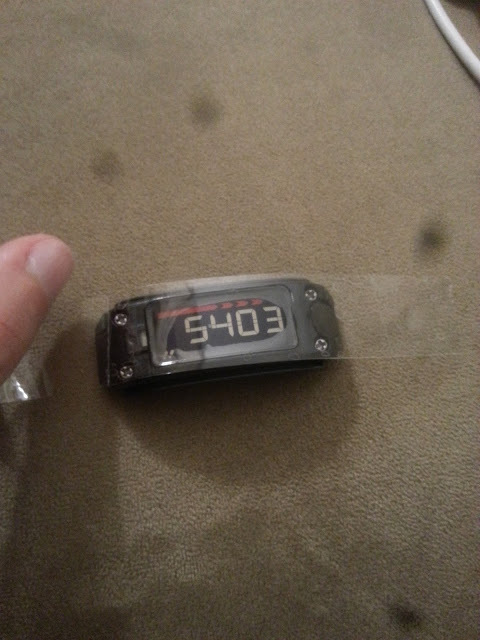 I could easily foresee the screen of my new fitness tracker becoming very scratched and I wanted to keep it pristine! I had to find a way to protect it. I searched online for a screen protector to purchase, but to no avail. To make a screen protector, you will require some type of clear sticky film. You can either use tape, or if you prefer, you can purchase a screen protector for a cell phone at the dollar store to use for this project. 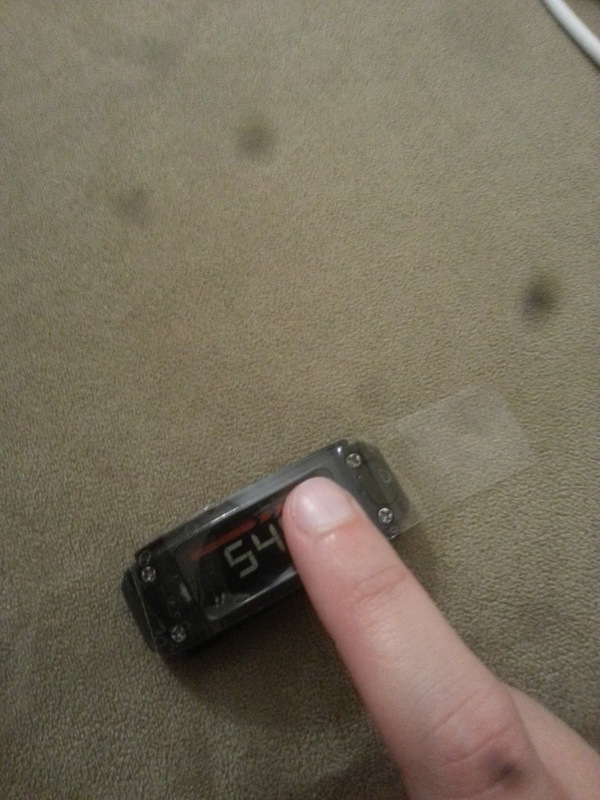 I just used clear tape to make mine. I have used tape in the past to create screen protectors for other devices, such as a Nokia brick phone from the late '90s. Wow, that last sentence really shows my age! Some of you may be worried that when you remove the tape that it will leave a sticky residue, and this may be the case. But, if that does happen, just take a fresh piece of tape and stick it to the area where there is residue and then slowly peel it off. 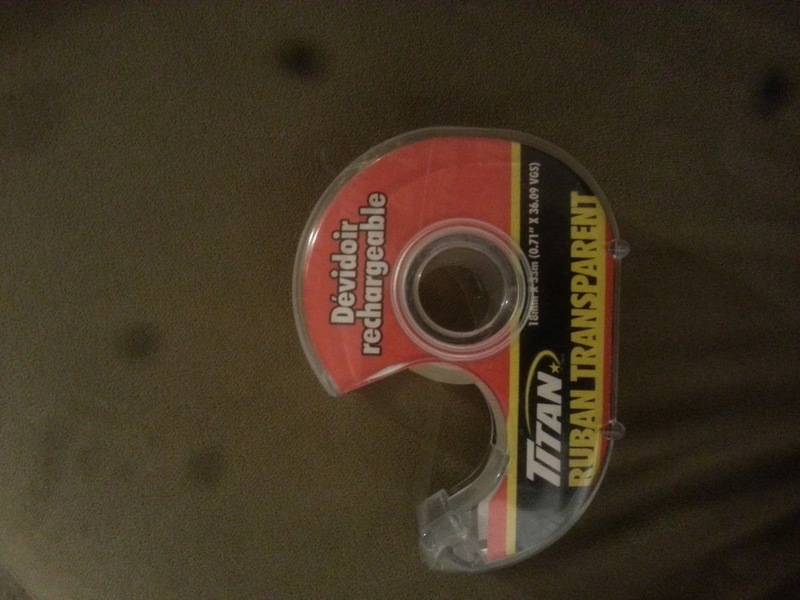 You will find that the new tape removes the residue very easily! The first thing that you will need to do is remove the fitness tracker from the band. 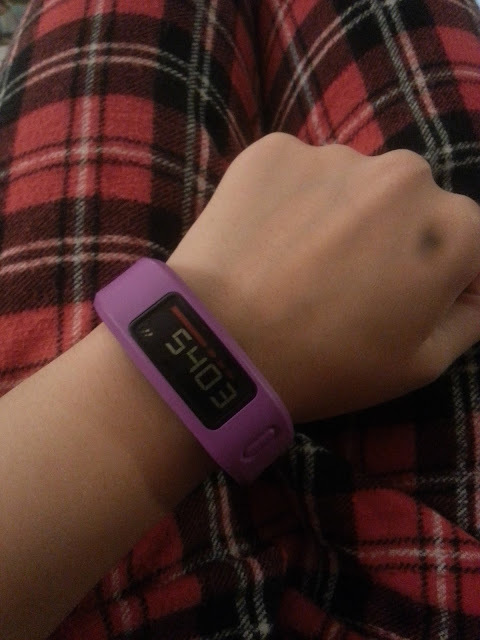 Only do so, if you have the type of fitness tracker that has a removable band, like mine. Then, all you have to do is cut a piece of tape (or the cell phone screen protector) that is a little bit larger than the size of your fitness tracker screen. Make sure your screen is clean and free of dust and oil. 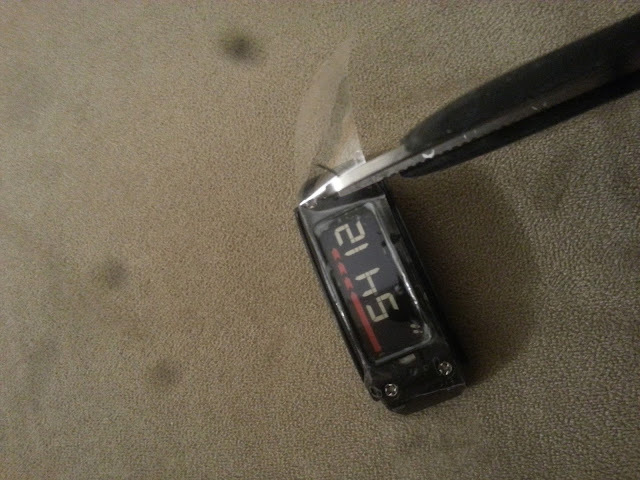 Gently adhere the tape to the screen, starting at the center. Gently coax out any air bubbles with your fingers. With a pair of scissors, carefully trim away any excess tape to ensure a perfect fit and then continue to smooth out any air bubbles along the edges. And that's pretty much it. It does take some patience and a bit of work, but in the end, I definitely think it's worth the time and effort! 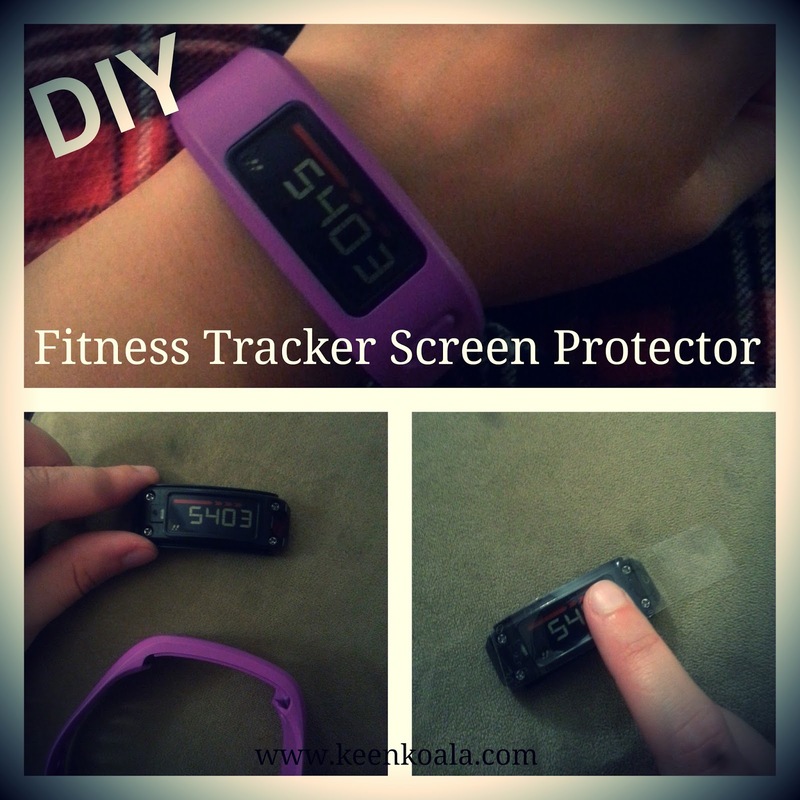 I have had the same homemade screen protector on my fitness tracker for a quite some time now and it still looks as good as new. If and when it starts to become scratched, I will just peel it off, remove the residue, if there is any, and then make another one. I hope you enjoyed this quick tutorial. For more interesting posts, exclusive content and contests, please Like Keen Koala on Facebook by clicking HERE!